The contents of this website have been compiled with the utmost care; nevertheless the author cannot accept responsibility for any inaccuracies or mistakes. No responsibility is taken for the correctness of the information contained on this website. The author is not liable in any way for any damages either of a material or ideal kind resultant from the publication of this website. This website uses external links for which the author can bear no responsibility for the contents found on websites linked to this one. If you discover offensive material on any site linked to ours, please inform us and we will remove the link immediately. Your personal data is only collected and processed for reasons mentioned in this data protection agreement. The data collected and used can either be data that you provide to us (e.g. when entering a contact form) or data that is collected automatically by our IT system when you visit the website. When using this website, various pieces of personal data will be collected. Personal information is any data with which you could be personally identified. We adhere to the principles of data avoidance and data economy. Therefore, we only store your personal data as long as it is necessary to achieve the purposes mentioned or as necessary to achieve the storage periods provided by law. After expiration of these deadlines, the corresponding data will be blocked or deleted in accordance with the statutory provisions. We respect your right to privacy. 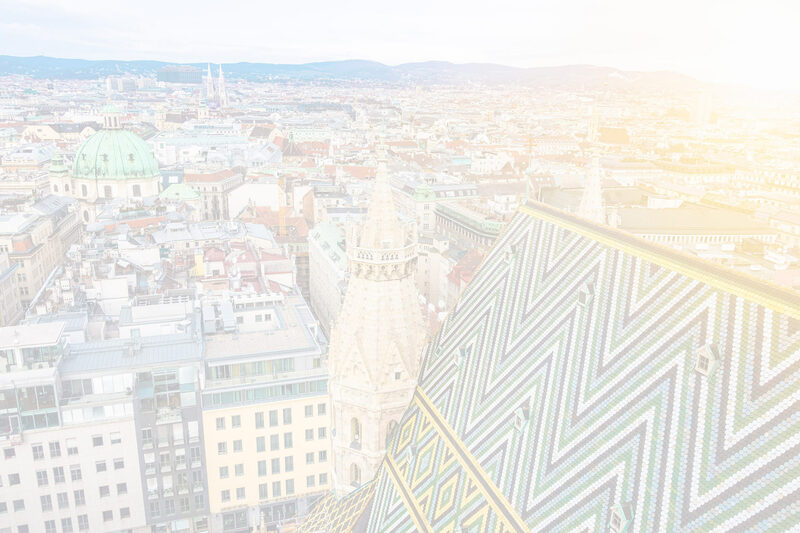 Any personal information which you volunteer on this website will be treated with appropriate standards of security and confidentiality and in accordance with the Austrian Data Protection Acts. The data provided by you are required to fulfill the contract or to carry out pre-contractual measures. Without this data we cannot conclude a contract. A data transmission to third parties does not take place, with the exception of the transmission of credit card data to the unwinding banking institutes / payment service providers for the purpose of debiting the purchase price, to the commissioned by us website provider Hotelnetsolutions GmbH, Genthiner Straße 8, 10785 Berlin, Germany, as well as to our tax consultants to fulfill our tax obligations. After cancelling the reservation process, the data stored will be deleted automatically. In case of a contract, all data from the contractual relationship are stored until the expiry of the tax retention period (7 years). Cookies are useful because they allow a website to recognise a user’s device. There are a number of different types of Cookies, each having a different purpose. To provide paid services we ask for additional data, such as payment details to complete your order. We store this data in our systems until the legal retention periods have expired. This site uses SSL encryption for security reasons and for the protection of the transmission of cinfidential content, such as the inquiries you send to us as the site operator. You can recognize an encrypted connection in your browser’s address line when the lock icon is displayed in your browser`s address bar. If SSL encryption is activated, the data you transfer to us cannot be read by third parties. If you would like to receive our newsletter, we require a valid email address as well as information that allows us to verify that you are the owner of the specified email address (“double opt in”). No additional data is collected and we only use this data in order to send the requested newsletter. The deregistration is possible at any time: at the bottom of each newsletter, you have the option to unsubscribe from the newsletter and thus revoke your consent. For creating and sending our e-mailings, we use “dialog-mail”, a software of the Austrian company dialog-Mail eMarketing Systems GmbH, Nussgasse 31, 3434 Wilfersdorf. We also use their software in order to analyze openings or clicks so that we can tailor our information offerings to the needs of our readers and provide readers with targeted information. The IP addresses are not analyzed by us. All data is processed by dialog-Mail in a high-security data center in Vienna. If you unsubscribe from any of our newsletters and we are not required by law to keep your information, we will delete your information immediately after you have logged out. If you have questions of any kind, you can contact us either by e-mail or the contact form which is implemented on the website and your consent for the purpose of establishing contact is granted automatically. When using the contact form, a valid e-mail address and your surname is required. This data is used to assign the request and the subsequent answer to the same. The specification of further data is optional. The information you provide will be stored for the purpose of processing the request and for possible follow-up questions. After completing the request you personal data will automatically be deleted. You can prevent these cookies bing stored by selecting the appropriate settings in your browser. However, we wish to point out that doing so may mean you will not be able to enjoy the full functionality of this website. You can also prevent the data generated by cookies about your use of the website (incl. your IP address) from being passed to Google, and the processing of these data by Google, by downloading and installing the browser plugin available at the following link: https://tools.google.com/dlpage/gaoptout?hl=en. In order to render our content correctly and graphically appealing across browsers, we use script libraries and font libraries on this website, such as: Google Webfonts (https://www.google.com/webfonts/). This constitutes a legitimate interest within the meaning of Art. 6 para. 1 lit. f DSGVO. Google webfonts are transferred to the cache of your browser to prevent multiple loading. If the browser does not support Google Web fonts or prohibits access, content will be displayed in a standard font. The call of script libraries or font libraries automatically triggers a connection to the operator of the library. It is theoretically possible – but currently also unclear whether and if so for what purposes – that operators of such libraries collect data. This site uses the mapping service Google Maps via an API. Provider is Google Inc., 1600 Amphitheater Parkway, Mountain View, CA 94043, USA to visually display geographic information. When using Google Maps, Google also collects, processes and uses data about the use of map features by visitors. To use Google Maps, it is necessary to save your IP address. This information is generally transmitted to a Google server in the USA and stored there. The provider of this site has no influence on this data transfer. For more information about Google’s data processing, please refer to the Google Privacy Notice. There you can also change your personal privacy settings in the privacy center. Our website uses plugins from YouTube, which is operated by Google. Provider is YouTube, LLC, 901 Cherry Ave., San Bruno, CA 94066, USA. If you visit one of our pages featuring a YouTube plugin, a connection to the YouTube servers is established. Here the YouTube server is informed about which of our pages you have visited. This website uses Google AdWords. Adwords is an online webprogram of Google Inc., 1600 Amphitheatre Parkway, Mountain View, CA 94043, United States (“Google”). If you have reached our website via an advertisement sent by Google, Google Adwords will set a cookie on your computer. The conversion tracking cookie is set when a user clicks on a Google-served ad. These cookies lose their validity after 30 days and are not used for personal identification. If the user visits certain pages on our website and the cookie has not expired, we and Google may recognize that the user clicked on the ad and was redirected to this page. Each Google AdWords customer receives a different cookie. Cookies can not be tracked through AdWords advertisers’ websites. The information gathered using the conversion cookie is used to generate conversion statistics for AdWords advertisers who have opted for conversion tracking. We are told the total number of users who clicked on our Adwords ad and were redirected to a conversion tracking page. However, we do not receive information that personally identifies users. You can set your browser so that you are informed about the setting of cookies and allow cookies only in individual cases. Disabling cookies may limit the functionality of this website. Please note that you cannot delete the opt-out cookies as long as you do not want to record measurement data. If you have deleted all your cookies in the browser, you must set the respective opt-out cookie again. This feature makes it possible to link target audiences for promotional marketing created with Google Analytics Remarketing to the cross-device capabilities of Google AdWords and Google DoubleClick. This allows advertising to be displayed based on your personal interests, identified based on your previous usage and surfing behavior on one device (e.g. your mobile phone), on other devices (such as a tablet or computer). Once you have given your consent, Google will associate your web and app browsing history with your Google Account for this purpose. That way, any device that signs in to your Google Account can use the same personalized promotional messaging.